Since Frankie Grant has decided to move on and return to the United States to carry on with his studies, we at Cabo Trek had the hard task to find somebody to replace this young motivated man that was so important in the becoming of what Cabo Trek is today. 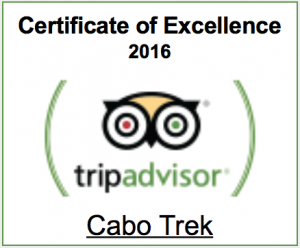 After a long search and going through tons of Curriculums, we decided that Marilia Olio and Katia Silva were the 2 ideal person that would fit in the Cabo Trek philosophy. 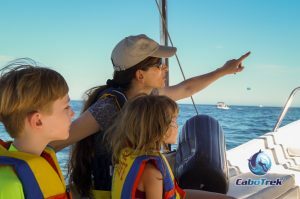 Marilia and Katia, both from Brazil, have extensive knowledge and experience in the field about whale watching and observing marine mammals in the wild. Both have spent the last few years in the Azores (Portuguese Islands in the Atlantic Ocean) working with whale watching companies while trying, at the same, to finish time their studies, masters and thesis. 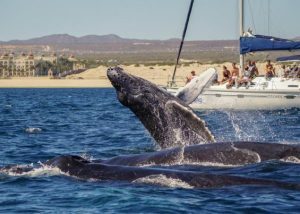 Cabo Trek, as first company in Cabo San Lucas, will do it’s part and support research for the mutual benefit of the Los Cabos community and the whales visiting the region. Not only, on the table there are multiple projects to seek interaction with local schools and the marine biology universities of Cabo San Lucas and La Paz. 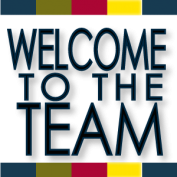 Marilia will be our main tour leader, as well as head of the photo ID research project, while Katia will be our photo pro and will run parallel a second research project. Both will be onboard of our beautiful and comfortable boat helping each other out and insuring the best possible experience for our guests. 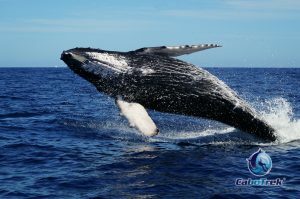 More information provided during our 2,5 hours whale watching tours in Cabo. This is a great benefit for all the guests who will join us this year. In the long term Humpback Whales will benefit, in terms of better whale watching regulations, especially if other companies will be following the example we are setting. All the pieces of the puzzle are falling in place and we are counting the days to start this new whale watching season in Cabo San Lucas!